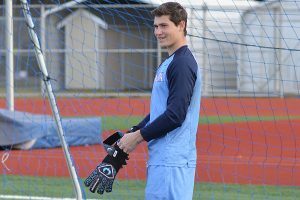 If any of the opposing teams in the 4A South Puget Sound League believed scoring goals on Olympia last year was going to be considerably easier following the graduation of goalkeeper Matteo Del Giudice, Sawyer Price was on hand to show them just how wrong that line of thinking was. 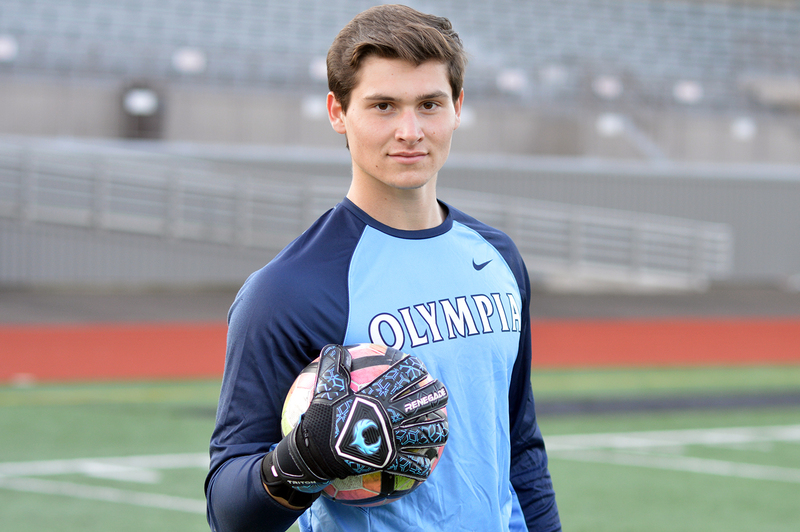 A year after Del Giudice led the Bears to the Class 4A state playoffs, Price took over the role as Olympia’s starting keeper in 2018 and proceeded to duplicate the feat. 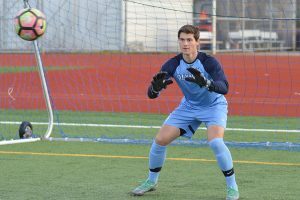 Playing in arguably the toughest league in the state, Price was exceptional during his junior campaign, averaging five saves a contest and recording four shutouts as the Bears simply swapped out one first-team all-league goalkeeper with another. It was plays like that that quickly showed Olympia wasn’t going to experience any such decline in play on the defense side of the field. But, according to Johnson, it wasn’t about trying to replace Del Giudice last year. It was Price “being the best Sawyer,” which was a challenge Price tackled head on the moment he knew he was going to be the Bears’ starting goalkeeper. Now, with that valuable season of varsity experience under his belt, Price appears to be even better this year. 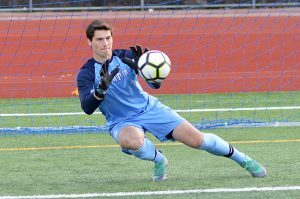 Through the first six matches, Price has already chalked up two shutouts, blanking rival Capital (4-0) in a non-league affair before holding 4A SPSL foe South Kitsap scoreless (3-0). Athletic, quick, collected, Price possesses all of these traits. It’s no wonder Northwest Nazarene University came calling. Price will play for the NCAA Division 2 school next season, but before he heads off to Nampa, Idaho, to suit up for the Nighthawks he has plenty of things remaining on his to do list this year. Namely guiding the Bears back to the state playoffs for a third consecutive season – something that hasn’t been achieved at Olympia since 1998. And the program is reaping the rewards of that. While Price’s play on the field has remained stellar over the last two seasons, the biggest improvement in his game this year, according to Johnson, is with his leadership as Price has been asked to take on a larger role. And just like his ability to make the spectacular save, Olympia is benefiting greatly from it. That excitement has now been transferred onto the field of play as the Bears look to contend for the 4A SPSL championship and another state playoff appearance.